May 21, 2018 May 21, 2018 Categories Fashion, Lifestyle, Travel5 Comments on Summer Fashion at Kai by the pool!! Summer is the perfect time to flaunt those floral prints, a great time to stop the layering trend and slip into something more minimal. And also to play with all those SS18 prints and colors we have been dying to try. So in today’s post, I’m going to tell you all about my weekend summer outfit at my recent lunch date with my gal Albina at a super cool poolside restaurant at Hotel Park Regis in Goa, called Kai by the pool. I wore a floral crop top and paired it with my favorite linen pants, perfect to beat the Goan summer heat. I love pairing up strong prints with plains, this really makes it stand out. I also went with a printed turban scarf. I advice two prints maximum in an outfit so as not to go overboard. I styled my hair by wearing a turban, learn how to style a turban in a few easy steps HERE and my sunnies from Cocoleni which perfectly matched my pants. I kept all other accessories minimalistic and went with some really comfortable sneakers to complete the look, you could also team this look with a pair of open sandals! Lunch date – Kai by the pool!! Located inside Park Regis is a poolside restaurant name Kai by the pool. Albina and I discovered this place and fell in love with it. From its full of life ambiance to its amazing mouthwatering food, Kai by the pool can be your next destination for a relaxed poolside lunch or dinner. They eve have pool parties regularly in the evenings which go on till 3 in the morning. The outdoor setting is so lively and full of color, it instills a great energy and promises a great time! The live DJ music really got us in the mood to party and Albina couldn’t help but groove to the fun beats. We started off with the Kai’s special cocktail. Which were both well presented and super delicious. I especially loved how the pineapple pina colada was served in a real pineapple. For starters, we ordered the Mushroom Bruschettas, Shish Tawook, and Korean chicken Tikka. All the plates were very well garnished and had even better flavors. We really relished the Korean Chicken Tikka (our favorite)! When the heat started to get out of control we choose to have a change of drink and ordered the cucumber and basil vodka lemonade which I must say is the most refreshing drink I ever had. For mains, we ordered the Penne pasta in arrabbiata sauce, as the plates are so copious one plate was perfect for Albina and me. Great place for a chilled out poolside afternoon! 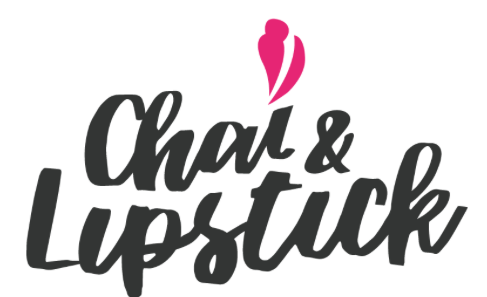 Hope you enjoyed this post, we recently completed two years of blogging at Chai & Lipstick, and we know we couldn’t have done it without you guys… to thank you for your love and support we are having a series of giveaways on our Instagram – HERE. Do check it out and participate to win some really cool gifts. Have a great week ahead friends and see you very soon! Spring season is finally here, and so is the question of how to dress when it’s 38 degrees in the day 22 at night. So today’s post is about my spring OOTD and my mid-week getaway to this awesome restaurant called Tierra y Mar with the perfect combination of Goan ambiance and Spanish food. I wore a plunge neck backless crop top. Spring means flowers, and what makes my top perfect is it’s a beautiful floral print for spring. Bell sleeves to keep it on trend. I paired it with high waist black jeans and a black strap faux leather belt and black pointed toe sneakers. I styled my hair into boxer braids and accessorized with a two-piece necklace and my new favorite sunnies. I always carry a little cap to protect myself from the sun, nowadays I am loving my Baker Boy Hat. I always make it a point to carry a mid-season trench, to be ready for the sudden weather changes that are so common in spring. Tierra Y Mar is a 15 – 20-minute drive from Panjim city. It is a hidden gem that is not visible from the main road. To access this restaurant you have to take a small path through the Paper Boat Collective store. We were pleasantly surprised by the deco that is very traditional Goan style with the coconut palm-thatched roof, and a very beautiful theme of blue and white, a little hint of Greece in Goa! Jude and I were super excited to have discovered this restaurant and couldn’t wait to try out the food, hoping it would be as good as the deco and ambiance of this place! House no 248, Bella Vista, chogm road, 403511. Behind Paper Boat Collective, Sangolda, Penha de França, Goa. This restaurant is great! Here is our star rating. I highly recommend you to try this place out, Jude and I really had a great time and to top it all the food was really exquisite. Surely going back soon 😀 Looking for more fun places to visit in Goa? Check out our other posts HERE. We are super excited to be featured as one of the best bloggers in Goa check out the article HERE. Susegad Weekend in Goa: Lazy Goose Style! February 27, 2018 April 11, 2018 Categories Fashion, Lifestyle, Travel4 Comments on Susegad Weekend in Goa: Lazy Goose Style! In today’s post, I am talking about how I spent my weekend in that ‘susegad’ Goan way. From comfy yet stylish dressing to a newly discovered riverside restaurant, this post has everything you need for your ‘weekend in Goa’ inspiration. Continue reading ➞ Susegad Weekend in Goa: Lazy Goose Style!